Self-drive Holidays in Spain for the Independent Motorist. Coastal Spain is perhaps the best known of region of Spain as far as the British holiday-maker is concerned. Extending from the French border in the North to the southernmost tip of Spain, the Costas represent for many what Spain is all about - sun, sea, and sand. All these are here in abundance; golden beaches, warm blue sea, rocky coves, quaint harbours. But here as well are some of Spain's great cities; Barcelona, Valencia and Granada amongst them. Just a few miles inland the countryside offers a wide variety of landscapes. The foothills of the Pyrenees descend to the sea in the north, while all down the Mediterranean coast rugged mountains are never far inland, with scattered villages seemingly belonging to times past. In the far south the 3,400 metre high Sierra Nevada range close to Granada offers good skiing in winter. Beyond Gibraltar on the Atlantic coast is the great delta of the Rio Guadalquivir, home to a myriad birds, and the ancient port of Cadiz. Granada is high on the agenda of any visitor to Spain, especially for the famous and stunningly beautiful Alhambra Palace. 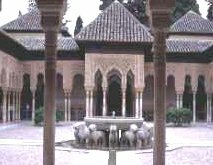 Words cannot do justice to this amazing example of Moorish architecture, which usually leaves visitors speechless with admiration. If you've got time, visit the nearby village of Fuente Vaqueros, birthplace of the poet Frederico Garcia Lorca, where there is an excellent museum in his memory. To the south of Granada is the Sierra Nevada, snow-capped for much of the year, where flowers bloom and wild goats are silhouetted against the sky. There are some good walking trails here, as well as winter skiing. Barcelona is one of our favourite cities. A wonderful mixture of the relaxed and the frenetic, typified in the stroll along the Ramblas while nearby the nightclubs pulsate until dawn and beyond. It's hard to avoid the many examples of Gaudi's stunning architecture, and a visit to the unfinished Cathedral of the Sagrada Familia is a must. The old town district, the Barrio Gotico, runs parallel to the Ramblas, at one end the great modern space of the Placa de Catalunya, at the other the harbour, crossed by a spectacular and alarming cable car which runs up to the hill of Montjuich where the Olympic stadium is found. We don't have space here to even begin to describe the attractions of Barcelona, only to suggest a good guide book and a stay of as many days as you can manage. The Costa Brava stertches from the French border to just north of Barcelona. Although much of its length is typical high-rise Spanish beachfront development, with excellent sandy beaches and a lively nightlife, there are several pockets of rocky coastline with pretty fishing villages and a more relaxed ambience. 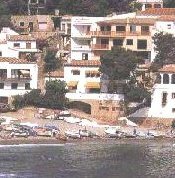 Try Llafranc and Calella, with lovely coves between rocky headlands, or Port Bou, a pretty fishing village close to France. Inland, visit the Salvador Dali museum in Figueres. 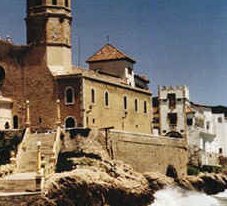 South of Barcelona is the Costa Dorada, and the vibrant resort of Sitges, known as Barcelona-on-Sea, which gives an idea of its lively nature. The town is pleasant enough and the beaches excellent, while the nightlife has something for everyone. A small and relatively undeveloped resort is Cunit with its good long beach, while the modern resort of Salou-Cambrils caters for every type of beach and watersports holiday. Tarragona is the capital town of this region and dates back to Roman times when it was a major city. It enjoys a spectacular situation, on a rocky hillside above the sea, boasts many Roman remains, an attractive Old Town with some good restaurants, and reasonable beaches. Valencia is the capital city of the province that bears its name. The town itself has a wealth of Baroque influenced buildings, a fascinating old town, excellent paellas and, in the Museo de Bellas Artes, a superb collection of great Spanish art. Valencia has perhaps the best nightlife outside Madrid and Barcelona, and, in summer, the bars at the Malvarrosa beach are the place to be. North from Valencia is the town of Castellon de la Plana, with good beaches along the coast towards Benicasim. South of Valencia are the package tour resorts of the Costa Blanca, among them Benidorm and Alicante.